When it comes to superfoods, spinach is the GOAT. 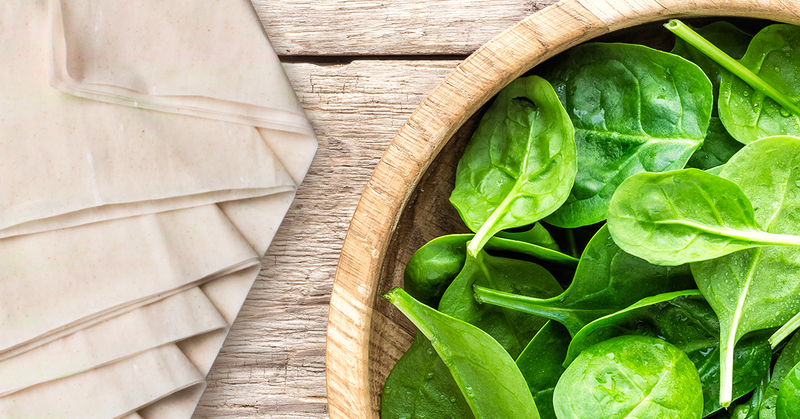 Packed with nutrients, this leafy green is good for your waistline. And when paired with crispy phyllo, it can do your taste buds even better. 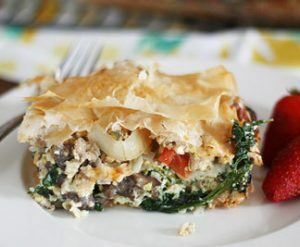 Why is phyllo the perfect partner for spinach? The balance of soft and crunchy texture accompanies a balance in flavor — where spinach is earthy, phyllo is light and flaky. So make the most of this spring’s best veggie with recipes that will make your spinach sing. 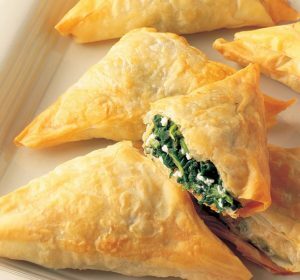 Triangles of creamy spinach, salty feta and crispy phyllo are basically heaven in a turnover. Don’t have time to cook? Pick up a box of our frozen spanakopita for a quick appetizer, snack or dunkable tomato soup side. Just heat and serve! Everybody gets a slice! Make this giant spinach, egg and mushroom dish when you’ve got a crowd to feed. FYI, this tastes great with a side of bacon and a mimosa. It doesn’t get much easier than store-bought spinach dip, leftover chicken and shreds of Monterrey Jack cheese. These hearty bites pack a flavorful punch. Looking for something lighter? 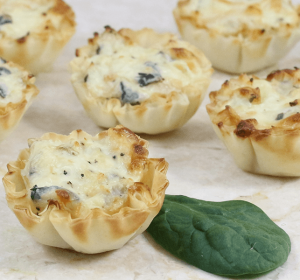 Try our Curried Chickpea Salad Mini Phyllo Cups for a freshened up, portable take on a tasty spinach salad. 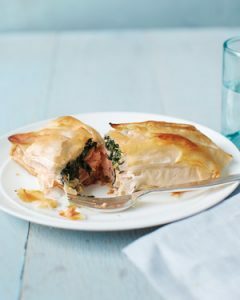 For an impressive entrée that requires minimal prep, slather salmon filets in a creamy spinach spread and wrap with phyllo. Pro tip: this also works with chicken or flank steak. From Persian kings and Greek yia yias to tapas-loving millennials, spinach and phyllo please all palates … and make any meal better. For more recipe inspiration, check out our Pinterest page. Plus, sign up for our newsletter and you’ll get recipes sent straight to your inbox monthly.